One thing that makes Atlanta so good at the business of being a city is the consistent ability to work ahead of the curve. By the time planners and architects arrive at a term to describe a new theory or paradigm or approach, Atlanta is often engaged in it already. It’s no secret that the whole world is going urban. Sociologists and demographers agree that the trend is away from the country and toward the city. Yet statistics remain uncertain on the decline of the suburbs. We think the reason for this is that the distinctions between city and suburbs are growing less dramatic. The term “urban suburbs” is gaining currency, and communities that connect directly to urban values, yet still retain their own history and heritage, are becoming prevalent in the world’s great cities. Atlanta offers several leading examples of this. Alpharetta emerges as an admirable image of the urban suburb. About a half-hour from Midtown, Alpharetta has, for many years, been the choice of people who want to stay immersed in the economic, educational, and artistic advantages of Atlanta, yet come home to a different scene. The accessibility, atmosphere, and architecture of Alpharetta have attracted growth in the range of 14% over just the last seven years. The Historic District and town-like feel are being blended into plans for Atlanta new construction through designs that preserve it while offering more people the chance to experience it. The sense of authenticity and heritage that radiates from Alpharetta is carried on, not just by what the town is, but also by what it does. The connection among residents reflects the values of a true community, including their willingness and ability to work together. From a weekly Farmers Market to a town-wide holiday food drive to an Adult Activity Center, the community spirit of Alpharetta in action continues to reward people who might initially be attracted by its beauty and proximity. A seemingly curated collection of Victorian and Craftsman-style homes, Kirkwood was once a trolley ride from downtown Atlanta. From the 1870s, discerning Atlanta leaders built homes here for the same purpose that leads people to urban suburbs today – to enjoy gracious living while participating fully in the economic and cultural drive of a great city. Since the late-1990s, Kirkwood has redoubled initiatives that continue fulfilling that role. Kirkwood’s prudent participation in Atlanta’s growth might be best exemplified by the state-of-the-art mixed-use initiative, Pullman Yards. The Pratt-Pullman railyards that flexed their muscles here in the age of rail travel have become the centerpiece of a work-play-live-thrive development driven and funded in part by one of the companies that has made Atlanta the leading film and TV production center of the nation, surpassing Los Angeles since 2017. In Pullman Yard, we see the most recent vision of how Atlanta condos attract “the creative class” to Atlanta, key drivers of the 21st-century economy. 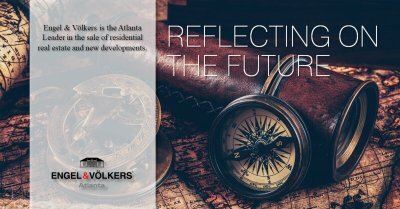 As the Atlanta leader in real estate and new developments, we’d be glad to talk with you about Atlanta’s remarkable ability to take part in the emerging future of cities, and the impact this alignment has on the value of Atlanta real estate. Just call us at 404-845-7724 or find out more at www.evatlanta.com.